Firefighters and rescue workers have saved thousands of lives over the last two days -- both human and animal. 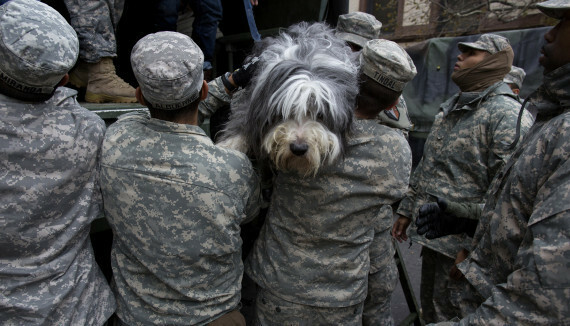 As Hurricane Sandy wanes and the East Coast goes into repair mode, images and accounts of pet rescues are beginning to emerge -- of shelters set up for animals alone, and of firemen immersing themselves in chest-deep water for dogs and cats. Below, we've put together some of the most heartwarming images we've found. CORRECTION: The slideshow previously contained an image of a dog being rescued in Thailand. It have since been removed.